Yonder: The Cloud Catcher Chronicles (game, 2017). An adventure video game by Prideful Sloth WW, Merge Games (Physical) WW, Nippon Ichi Software (Physical) JP. Developed by Prideful Sloth. Official Trailer. 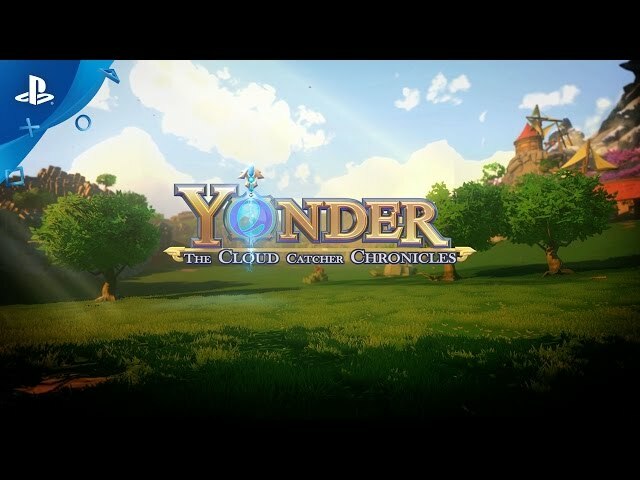 Yonder: The Cloud Catcher Chronicles is an adventure video game by Prideful Sloth WW, Merge Games (Physical) WW, Nippon Ichi Software (Physical) JP, developed by Prideful Sloth. 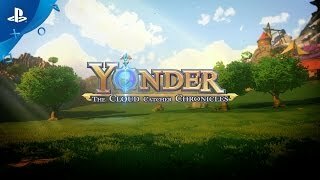 Yonder: The Cloud Catcher Chronicles - PlayStation Experience 2016: Debut Trailer | PS4. The player character is shipwrecked on a magical island called Gemea. A mysterious, dark fog known as the Murk is polluting the environment and causing distress to the island's inhabitants. Now it is up to the player to restore the island by finding sprites to dispel the Murk. Yonder: The Cloud Catcher Chronicles is an adventure game set in an open world environment and played from a third-person perspective. A primary goal of the game is seek and collect magical creatures, known as sprites, to banish an ominous shroud known as the Murk. Throughout the adventure, the player can take part in activities like farming, fishing, and crafting while exploring the island. Yonder: The Cloud Catcher Chronicles was scheduled to be released by Prideful Sloth WW, Merge Games (Physical) WW, Nippon Ichi Software (Physical) JP on July 17, 2017, on July 18, 2017 and on May 17, 2018. This video game is available for the following platforms: PlayStation 4, Windows, Nintendo Switch.